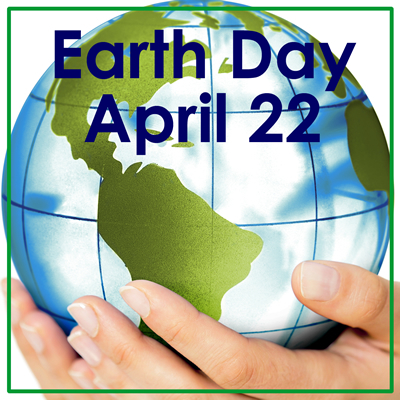 Aprril 22 is Earth Day. Also time for spring cleaning. It is a time to think about the 3R's: REDUCE, REUSE, RECYCLE. Keep reading to learn how to get rid of your unwanted "stuff" and keep it out of the landfill. To sell your "stuff", list it on Craig's list. or the Warrenville Garage Sales and Exchange Facebook group. If not, donate it to bless someone else or recycle it. Find a resale shop. Most resale shops take clothes, shoes, accessories, household goods, sports equipment, dishes, kitchen gadgets, toys, knick knacks, small working household appliances (NO big TV's or computer monitors, even if they work) Click links for hours and more detailed lists. Discoveries Resale Shop and Furniture Annex in Warrenville: Pickup can be scheduled for furniture. Benefits Warrenville Youth and Family Services. ReStore for working appliances, light fixtures, and other building supplies. Nearest one is by Fox Valley (4100 Fox Valley Ctr Dr Aurora, IL 60504). A division of Habitat for Humanity. Warrenville Paper Shredding and Electronics Recycling Event - May 19 from 9 am to noon Bower School ( 4S241 River Road ). Limit 3 bankers boxes of paper to be shredded. Items accepted for electronics recycling include computers, laptops, servers, switches, modems, routers, batteries, UPS systems, printers, copiers, fax machines, circuit boards, cords, wires, toys, small appliances, stereo equipment, office equipment, telephone systems, cell phones, games, PDAs, and banking/financial/medical equipment. Larger items are accepted for a fee paid in advance. More info in the "April Hometown Happenings" newsletter. Bike Rodeo - May 19, 2018 from 9-noon in City Hall Parking Lot. Collecting Bikes to be donated and fixed for use by those in need. Drop box will be located in the Park District Recreation Center lower level lobby from May 1 - May 31. Goal: To collect 1,500 books. Warrenville Ace Hardware - Electronics Recycling and CFL bulbs - Take electronics to a box in back of store (small items, TV's for a price) and CFL light bulbs (bring to cash register). Warrenville Public Library: Eye glasses (including sunglasses) for Lions club - in between doors at back entrace. Warrenville City Hall - Batteries (alkaline, lithium, lithium-ion) - Collection bins by upper and lower entrances. Keep the chemicals that leak out of batteries out of our water supply! Freecycle- Join the Warrenville Group - post what you want to give away - "one person's trash is another person's treasure" - You make arrangements for them to pick it up. For a bigger audience, there are other Wheaton and Naperville groups too. (Can be all sorts of things. For example, I got rid of landscape stones and logs (and they came to get it), and old chair cushions. Wheaton Public Works: Second Saturday each month. 9-noon - small electronics, cooking oil, scrap metal and more (no TV's or hazardous waste). SCARCE in Glen Ellyn has BookRescue, Tools for Schools and Super Crayons projects - Tools for Schools is for any supplies that a teacher might use in a classroom, including any and all books, paper, pens, pencils & crayons, game pieces or groups of other small things for kids to count / manipulate, anything that could be used for craft projects, any office supplies, buttons, sewing machines, sewing supplies and more. See Tools for Schools List. Also Book Rescue takes all books. Books for kids are distributed to teachers, for classroom use, and SCARCE finds homes for other books, or recycles those that are in bad shape. All Crayons (broken or not) are used by the Super Crayons project. Sharing Connections - Furniture and Household Items - they will pickup. They help people in crisis that need to setup a household. Also new cleaning supplies and personal care products. Bags - Resale shops including Discoveries in Warrenville re-uses shopping bags (paper or plasstic) that are in good shape. Family Foods no longer takes plastic bags, but Kohls and Target take them. Tennis Shoes - Take them to the Nike store in the Aurora Premium Outlet Mall - Nike grinds them for playground surfaces so bring shoes with holes. - if the shoes are wearable, they can go to a resale shop - limit might be 10 pairs (in one drop off). Electronics and more - Wheaton: Second Saturday each month. 9-noon at the Public Works - small electronics, cooking oil, scrap metal and more (no TV's or hazardous waste). Garden Tools - Garden Works Project now has a facility in West Chicago is creating a Garden Tool lending library. (103 W. Washington, West Chicago - in the same building as Gallery 200) Stop by to drop off when the gallery is open (Thur 12-6, Fri 12-8, Sat 10-4, Sun 12-4) Learn more or make arrangements with the Garden Works Project. Electronics (Look Carefully! Usually electronics are considered to be anything with a battery or cord, but each event has different requirements. Old monitors and TVs may not be collected, or may be collected for a fee). Naperville Hazardous Waste Dropoff - Jefferson and Forthill (Not in the Fire Station Anymore). They made the drop-off bigger so cars can move thru more quickly - open Sat and Sunday mornings. If you are looking for more information, check out these websites. It is illegal to put TV's into the landfill, it's difficult to find places to recycle them, and the information is always changing. 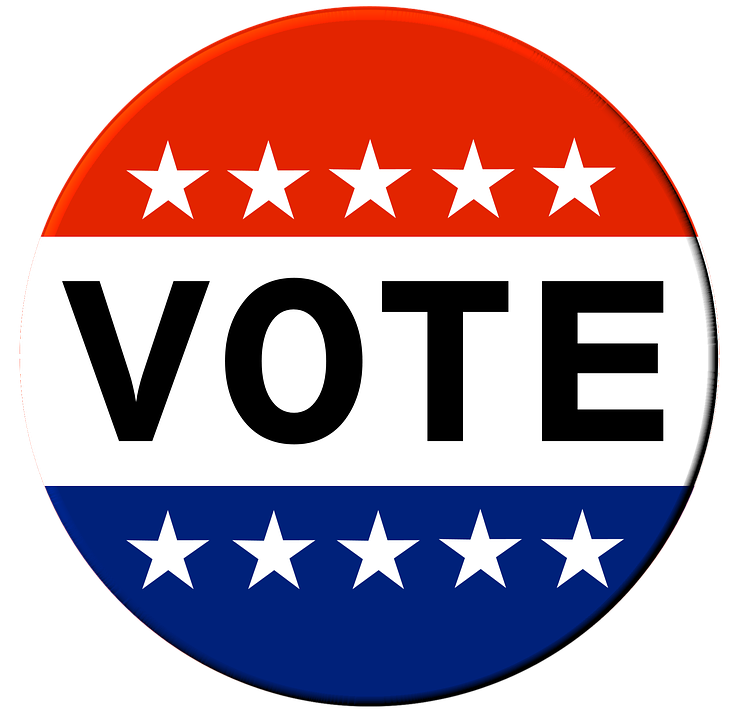 Take a look at your ballot now, to see what will be there when you go to vote on April 2, 2019. There may not be a national election this time, but the local officials that we select might impact our lives more than those on the national stage. I can’t attach your ballot, because even within Warrenville, there are multiple districts at every level of government – each with different boundaries. Just considering Warrenville voters, there are many ballot variations. Follow the steps, just a few clicks, and enter your address and you'll have the ballot. These instructions are for anyone in DuPage county. Type your address. Note:the house number includes the numbers and letter (e.g. 28w530). The "Suffix" is your street type (e.g. Street, Road). It has to match exactly -- for mine Ln works but not Lane. Click Search. Click to "View Ballot" link. On this page, you can also see your polling place, all your current elected officials, and what districts you are in. Finding the ballot is the easy part. Now you have the harder job of deciding how to cast it. If you're still looking for nore information, there is a website ballotready.org. This site has a tab for each candidate on your ballot, along with links to learn their stances on many issues and a newsfeed of artices printed about them. This is not an official ballot, and does not contain all the local items. I don't know about you, but I like having a convenient grocery store right here in Warrenville. This week, there is a flyer in the store thanking customers, and asking them to invite friends and neighbors to visit Family Foods. Apparently the store is trying hard to stay afloat and survive the competition of the big chain stores. If you don't use Family Foods regularly, here are some reasons that you might give it a try. 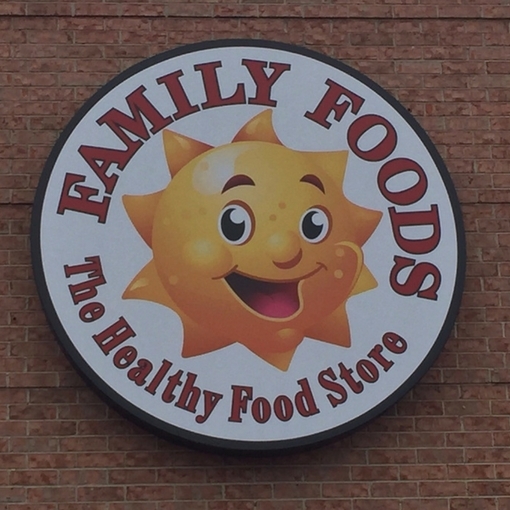 Read more: Family Foods Needs Your Support!